IndyCar became the latest major racing series to start its 2018 season on the weekend, and it did so with much fanfare and a spectacular race. This season marks a return to standardised aerodynamics to IndyCar, and this change brings with it a new philosophy, with a slashing of downforce one of its headline characteristics. Reducing downforce, so the logic goes, will force drivers to work harder to keep their cars on the track, and shifting some downforce generation from wings to the floor, as is also now the case, will ease following and therefore encourage passing. By most accounts the changes were a big success. Round one, the Grand Prix of St Petersburg, Florida, was an action-packed spectacle featuring a mind-boggling 366 successful overtaking manoeuvres. It didn’t take long for the inevitable comparisons with Formula One to be made. Fresh in the minds of F1 fans was the soporific season-ending Abu Dhabi Grand Prix, which featured just five on-track passes, few of which were memorable, and there were 435 passes in total for 2017. There are of course caveats to these figures. IndyCar’s 366 overtakes include all passes in all situations; it logged 283 passes for position. Moreover, Formula One’s statistics, as supplied by Pirelli, do not include first-lap position changes or places gained during pit stops, and a pass must be executed during a flying lap and held to the start-finish line to be counted. The criteria for the two series are different, though it goes without saying they are not sufficiently different to bridge a gap worth hundreds of passes, and even if the St Petersburg numbers are high for IndyCar, passes measured in triple digits are not unusual. So has IndyCar found the magic motorsport formula? Is the answer as simple as slashing downforce? First, a low-downforce solution paired with ground effect is nothing new — Formula One considered shifting downforce generation to the underside of the car while formulating the 2017 regulations, although it didn’t follow through. Indeed F1 went in the opposite direction: it increased downforce substantially to reduce lap times, and it did so principally with wider wings — renowned for making overtaking more difficult — and a larger diffuser. The specific motivation was to speed up the cars and increase the spectacle, not by increasing overtaking but by reducing lap times by three seconds. By this metric the rules change has been a success, and the cars undoubtedly look spectacular when taking to the track in anger. Though Formula One’s choice for speed over raceability has predictably made overtaking substantially more difficult, consider that in 2011, when overtaking increased substantially thanks in part to DRS and Pirelli’s made-to-degrade tyres, there were complaints that overtaking was too frequent. Fast forward to today and discourse is dominated by the lack of overtaking despite, mind you, 2017 featuring 26.7 passes per race — if you were to discount the DRS era (2011 to present), this would be the highest per-race overtaking figure since 1991. There are perhaps two conclusions to be drawn from F1 and IndyCar’s differing approaches. The first is that cornering speed in Formula One is apparently more readily equated to driver ability, whereas in IndyCar, as expressed by Jim Campbell, managing a nervous, slippery car with more power than grip — the kind of car F1 had prior to 2017 — is a better test of skill. This is of course subjective. The second seems to be a question of culture. It is a generalisation, but motorsport in the United States is a spectacle first. The preference is for big, bold racing that has spectators on the edge of their seats for the duration. European motorsport has typically eschewed this approach. Distilled, European-style racing requires only two cars, and neither necessarily must execute a pass, only follow closely enough to spar for position. The battle for first place between Lewis Hamilton and Sebastian Vettel at last year’s Belgian Grand Prix springs to mind. Vettel was never able to capture the position, but all race long he pressured Hamilton to try to force him into a mistake that never came. To use a well-worn analogy, the scarcity of goals in football makes it no less exciting — the excitement lies with the challenge of scoring. It all serves to highlight that there’s more to racing than overtaking alone and that, as the specifics of IndyCar and F1’s diverging views on the role of downforce in spectacle suggest, what makes a good race is subjective in the extreme. 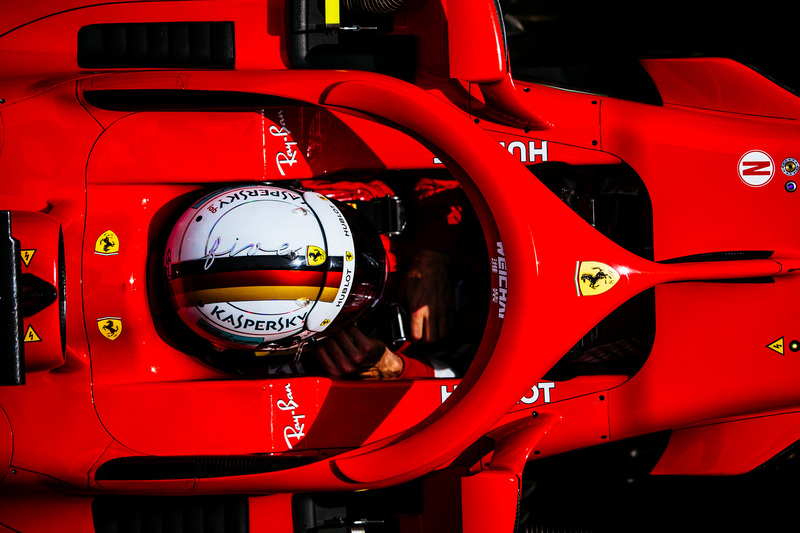 It’s all food for thought as Formula One considers its next-generation regulations while balancing the competing demands of improving the spectacle and keeping true to its values and the associated expectations of its long-term fans.